Cathey won an Emmy for outstanding guest actor in a drama series in 2015 for his work on "House of Cards." Actor Reg E. Cathey arrives at the Creative Arts Emmy Awards at Microsoft Theater on September 10, 2016 in Los Angeles, California. Cathey died Friday. He was 59. 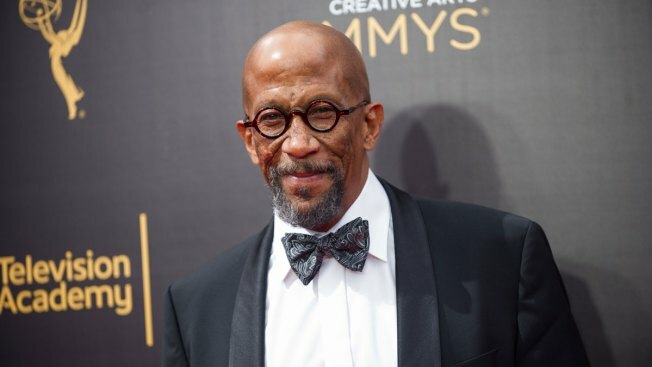 Reg E. Cathey, known for roles on "House of Cards" and "The Wire," has died. He was 59. “The Wire” creator David Simon first reported his death, reports Variety. Cathey won an Emmy for outstanding guest actor in a drama series in 2015 for his work on "House of Cards" playing Freddy Hayes, the owner of a ribs joint frequented by Kevin Spacey. Cathey most recently appeared in the 2015 "Fantastic Four" reboot and the 2018 drama "Tyrel." As news of Cathey's death spread friends and peers took to social media to offer condolences. Reg Cathey was my friend and my wife's friend and a great actor. I am very very sad. RIP, Reg.